For shoppers in Freehold, Old Bridge, and Jackson, bad credit doesn’t have to stand in the way of getting a new car. The same goes for a meager credit record. Whether you’re shopping for your first vehicle or badly in need of a replacement, we can help. Our financial experts will help you avoid the bus stop with financial options that work for your budget. Read on to discover how we can help. A bad credit score doesn’t mean you have to spend hours dealing with the public transportation system. Personal freedom is well within your reach. Our bad credit loans will empower you to take charge of your finances. Regular payments will help you establish or improve your credit score. More importantly, our bad credit loans help you drive off in a reliable car. We offer a variety of secure financing options, so you can select the plan that best suits your current budget. No matter what kind of vehicle works for you, we’re here to help. 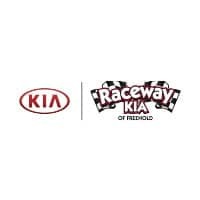 At Raceway Kia, you’ll find a wide range of cars, trucks, crossovers, and minivans and all drivers are welcome. Our world-class inventory gives you more than just a dependable ride to work. You’ll find all the latest in infotainment and high-tech safety aids, too. Full-size sedans and three-row crossover SUVs supply the extra space your family needs on road trips. Sporty hatchbacks balance punchy performance with higher fuel mileage, so you can make the most of what you spend at the pump. Stop in and we’ll help you find what you’re looking for. So You’ve Got Bad Credit? If you’re located in Freehold, Old Bridge, Jackson, or surrounding areas, we can help resolve your bad credit woes. Your credit history may have you a little stressed out, but – trust us – we can help. Your credit record need not keep you from owning a safe, reliable car, truck, van, or crossover. Head to our friendly dealership and we’ll supply the personal attention you need. We’ll help you better understand your financing options. Soon, you’ll be behind the wheel of your new car, with a whole new level of freedom in front of you.